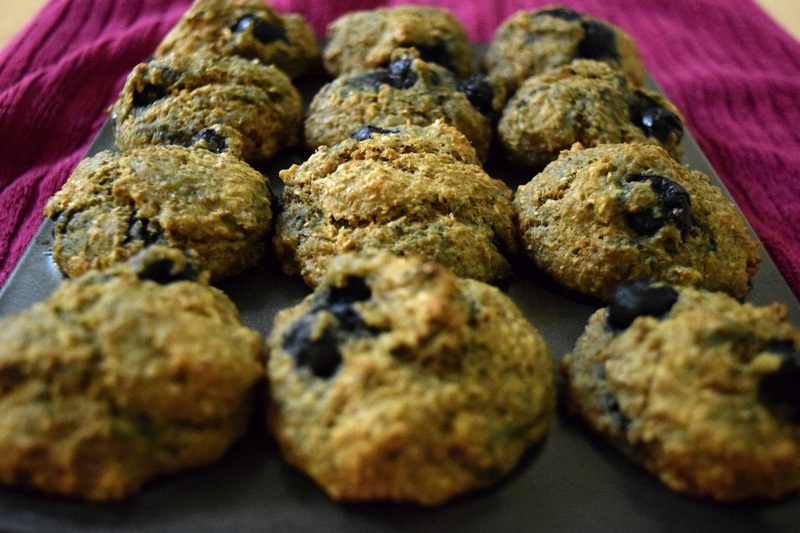 Okay, so this may seem strange to some people, but I've been craving blueberry bran muffins for quite some time now. I love the texture of bran muffins, and the fibre is a big bonus. 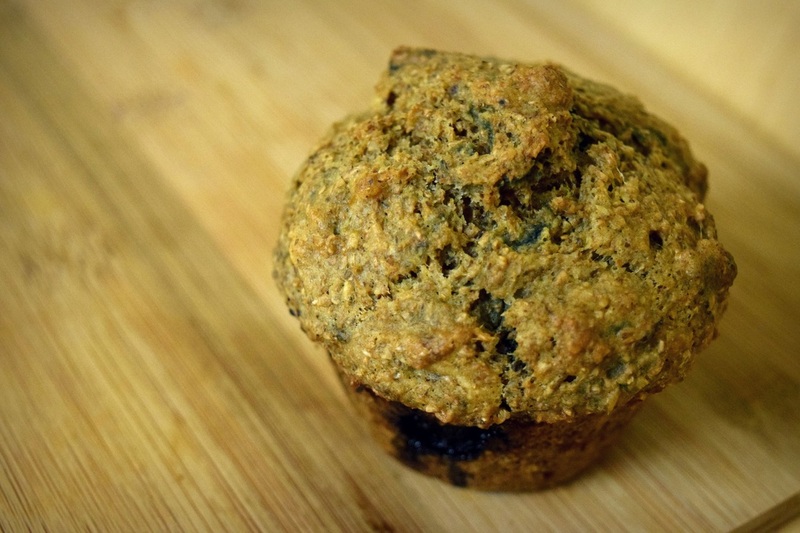 Plus, you just can't beat a warm blueberry bran muffin smeared with melted vegan margarine on a chilly fall morning. The bran helps keep things moist (such a beloved word), so even after a couple of days, these babies don't have any of that dry, day-old taste and mouth-feel to them. What I'm basically saying is that if you're looking for me, you can probably find me munching away on 5 of these in the secrecy of my room. Adapted from Bite Me I'm Vegan. Stir together wet and dry ingredients until just combined. Bake at 400F for 24-26 minutes.